Small business owners can have dramatically different goals for their 401(k) plan. While some want to maximize key employee contributions, others want to incentivize plan participation by all employees. Business owners have nearly endless options for meeting these goals – many with very different expenses. The process of matching 401(k) goals to available options is called 401(k) plan design. 401(k) plan design is a big deal that shouldn’t be undervalued by business owners because there is no such thing as a one-size-ﬁts-all 401(k) plan. It’s not uncommon for a small business to save tens of thousands of employer contribution dollars by choosing one 401(k) plan design over another and yet still meet their 401(k) plan goals. Over the past 20 years, our firm has custom designed thousands of 401(k) plans. One of the most common questions we receive from business owners during the plan design process is “what are other people doing?” To help answer this question, we studied the contributions and eligibility requirements of 2,767 small business 401(k) plans in 2016. 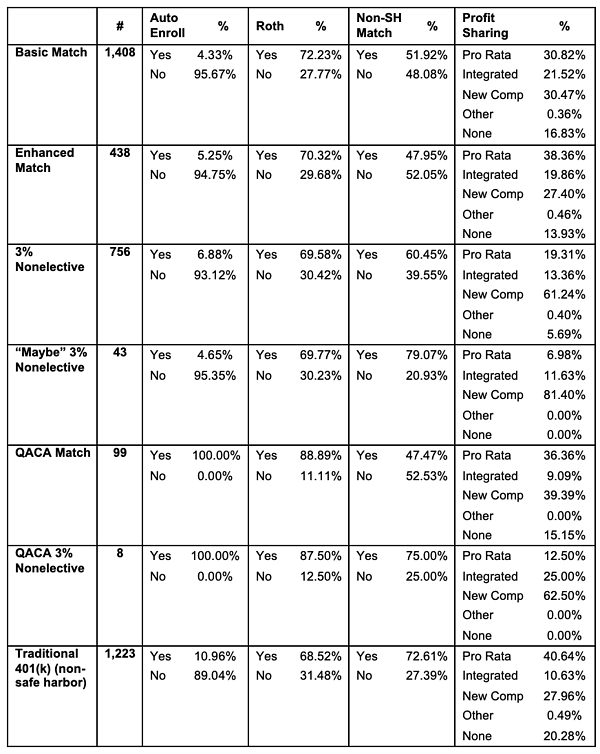 To see if preferences have changed, we completed a new study of 3,975 401(k) plans this month. 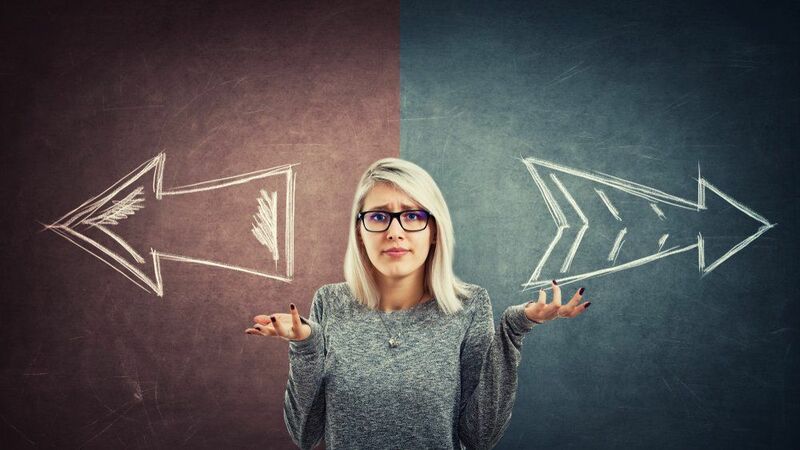 If you’re a business owner, you can use this new information to help choose the best features for your 401(k) plan during the plan design process. Employer contributions are often the biggest expense of a small business 401(k) plan. There are two basic types - matching and nonelective. While 401(k) participants must make salary deferrals to receive an employer matching contribution, any eligible participant can receive a nonelective contribution (e.g., profit sharing) – even if they make no salary deferrals at all. Maximize owner contributions at the least possible expense. Incentivize salary deferrals by all employees. Help low-paid employees save for retirement. Below is a summary of the contributions used by the 3,975 401(k) plans we studied. 69.23% of plans use a safe harbor 401(k) plan design to avoid annual ADP/ACP and top heavy testing. Up from 68% in 2016. 9.53% of plans automatically enroll employees that fail to make an affirmative enrollment election. Up from 8.71% in 2016. 70.79% of plans permit after-tax Roth 401(k) contributions. Up from 65.96% in 2016. 84.81% of plans permit employer profit sharing contributions. Down from 85.65% in 2016. New comparability is the most popular type of profit sharing contribution combined with a safe harbor nonelective contribution. This combination is not surprising when you consider safe harbor nonelective contributions help new comparability contributions pass annual nondiscrimination testing. Pro rata and new comparability are the most popular types of profit sharing contribution combined with safe harbor matches. A 401(k) plan’s eligibility requirements dictate who can join the plan and who can be kept out. You want to choose these requirements based on your employee demographics and plan goals. When requirements are too liberal, avoidable nondiscrimination test failures and/or expenses are possible. When they are too strict, prospective employees might look elsewhere for employment. 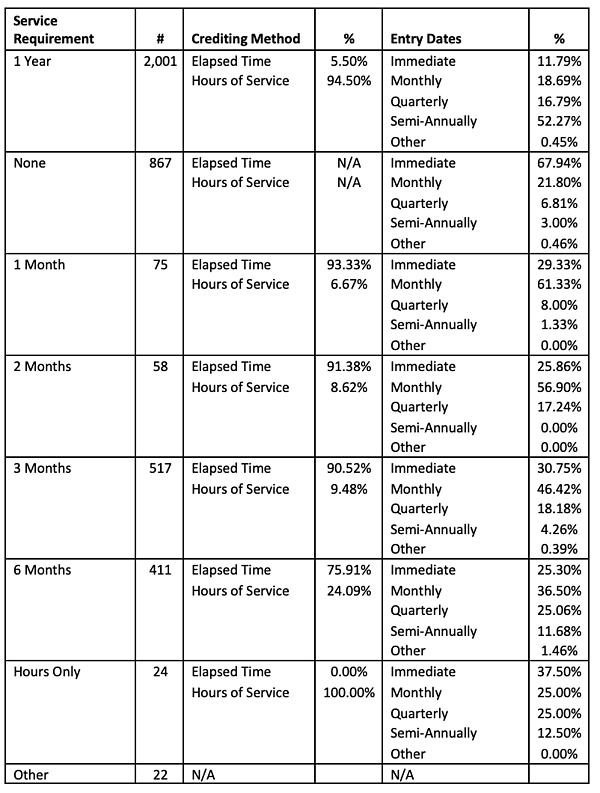 Below is a summary of the service requirements we found for the 3,975 401(k) plans we studied. The two most popular service requirements were 1 year – used by 50.34% – and none at all - used by 21.81%. Very similar to our 2016 finding. A 1 year of service eligibility requirement is most commonly combined with semi-annual entry dates and the hours of service crediting method – the most restrictive combination allowed by law. 67.94% of plans with no service requirement allow employees to enter immediately – in other words, on their date of hire. Most plans that require less than a 1-year service use the elapsed time method for counting service. If your 401(k) provider doesn’t offer custom plan design, run! 401(k) plan design can seem daunting, but in fact, the process can generally be done quickly – often, in less than an hour – with the help of a plan design expert. This is time well spent when you consider how bad plan design can cost you in unnecessary plan expenses or unmet plan goals.